The radar system operating in Naples urban area is a single-polarization X-band weather radar, named WR-10X and manufactured by ELDES srl. 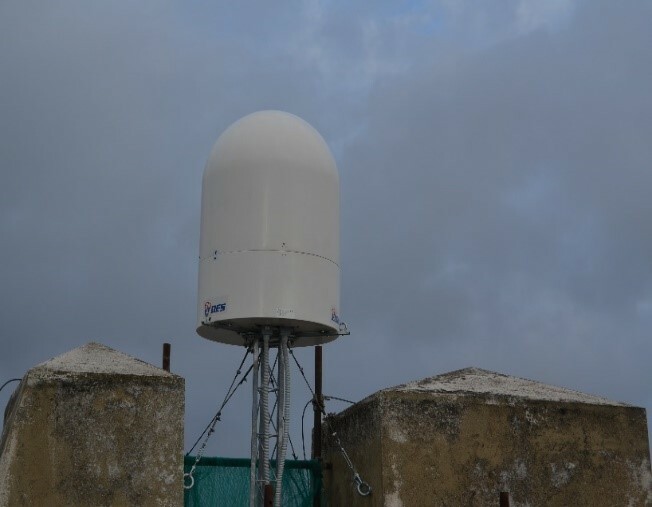 The WR-10X is located at the top of Castel Sant’Elmo (40.8438°N, 14.2385°E, 280 m above sea level) and has been installed by the University of Naples “Parthenope” at the end of 2011. The WR-10X performs a complete volume scan in a time of 10 minutes for a maximum available range of 108 km. 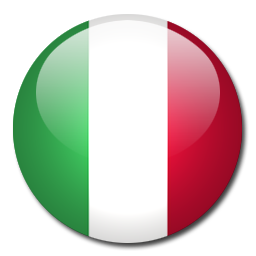 The region covered by WR-10X encompasses the central and western sides of Campania region, extending from 40.1893°N to 41.4975°N and from 13.4005°E to 15.0939°E. Such area is characterized by heterogeneous geographical features: it includes, in fact, the western and the meridional side of Campania Apennines reliefs (Matese, Taburno, and Partenio), which have altitudes ranging between 1400 m and 2000 m, the plain of Caserta, the Naples and Caserta Provinces and the Gulf of Salerno. The main strengths of WR-10X lie in its reduced size (90 x 130 cm2) and weight (about 100 kg), as well as in the low electric power consumption (about 300 W), that simplify the installation facilities, especially in urban contexts. The main technical features of WR-10X weather radar are listed in the following table. WR-10X weather radar observation range. 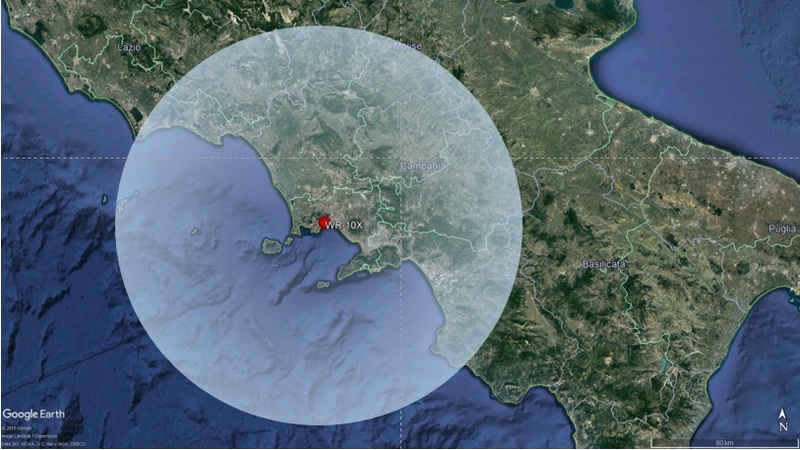 WR-10X weather radar located in Castel S. Elmo, Naples.